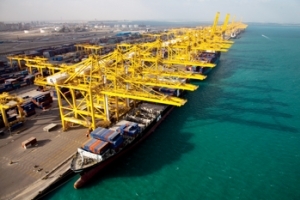 DP World’s flagship Jebel Ali Port in Dubai, UAE, has been named the world’s most productive according to the latest port productivity report from the US-based Journalof Commerce (JOC). 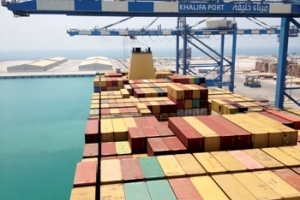 DUBAI-owned port operator DP World and China’s Qingdao Port Group have signed a strategic framework agreement to enhance port co-operation. 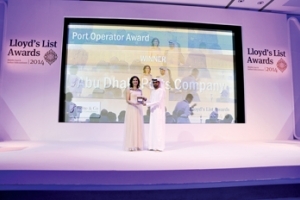 Abu Dhabi Ports Company (ADPC) has won two awards at the Lloyd’s List Middle East and Indian Subcontinent Awards which took place recently at the JW Marriott Marquis in Dubai. For the second year running, ADPC received the “Port Operator Award” and this year for the first time it won the “Training Award”. Saudi-Jordan rail link SAUDI Arabia plans to construct a railway line to Jordan as part of the 2,177-km GCC rail network project, a report said. The kingdom is moving ahead with rail projects to link all its parts, said Mohamed Khalid Al Suwaiket, president of the Saudi Rail Organisation. 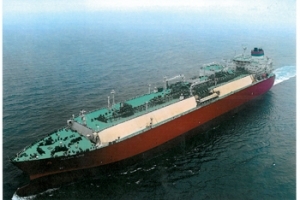 Oman Shipping Company (OSC) has taken delivery of one of the world’s most advanced fuel-efficient LNG carriers – the Adam LNG. The 162,000 cu m capacity vessel was built by Hyundai Heavy Industries (HHI) in Ulsan, South Korea, and will operate worldwide with 25 crew including four Omani cadets. 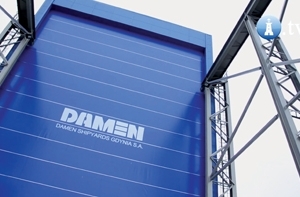 Sharjah Port has signed a major contract with Damen Shipyards, headquartered in the Netherlands, to build new vessels in the UAE emirate to further expand its fleet. LOCKHEED Martin Corp expects to reach an agreement next year with a launch customer for a giant new hybrid airship that would revolutionise the way oil and mining companies haul equipment to the Arctic and other remote areas without roads.